But at above $80 and $150 a tonne respectively, the market is still trading well above recent multi-year lows which saw seaborne benchmark thermal coal trade dip below $50 and coking coal touch $75s. 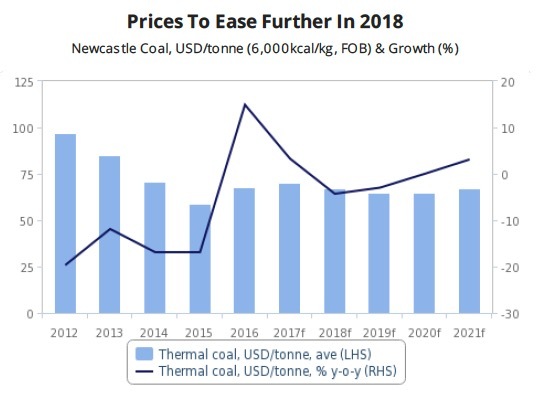 A new report from BMI Research, a unit of Fitch, predicts thermal coal prices will drift lower but hold onto much of these gains on the back of strong demand from top consumer China which forges as much steel and burns as much coal as the rest of the world combined. 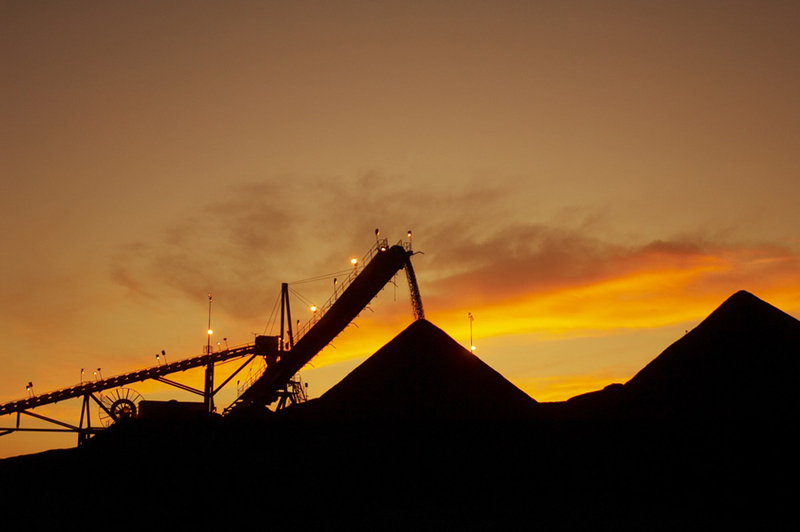 BMI upped its price expectations for this year and 2018 and now forecasts steam coal to hover between $70 to $90 over the next three to six months buoyed by Beijing's continuing fiscal support to the heavy industries. f = BMI forecast. Source: BMI, Bloomberg. While the shortage of seaborne coking and thermal coal supply that had developed over H216 has eased, the market is still tight due to a 1.7% y-o-y drop in Chinese raw coal output in the first two months of 2017. Nevertheless, high-frequency indicators, including time-spreads on Newcastle coal futures, indicate that a loosening trend is underway in the global market. For instance, the spread between first and six-month Newcastle coal contracts has narrowed to around $4.35/tonne in March 2017, compared to an October 2016 high of $7.65/tonne. As a result towards the end of 2017, the seaborne market is likely to loosen further and prices head lower again and continue to ease towards the end of the decade according to BMI.